Our CVS Diesel service division comprises a team of highly skilled service technicians and technical managers trained in all aspects of service and maintenance on industrial & marine diesel engines, transmissions, alternators and electrical systems. With over 40 years of practical experience, our service team will utilise the very latest diagnostic tools to deliver an immediate solution, keeping down time to a minimum. With service vehicles equipped with spare parts and specialist tools for breakdowns, we are able to assist new and existing customers in a variety of diesel engine emergencies. We also offer tailored 24hr, 365 day service support for contract customers. The efficiency of our service division is further enhanced by the significant investment we made into a bespoke SQL server based job tracking system that fully automates the scheduling of our service visits. 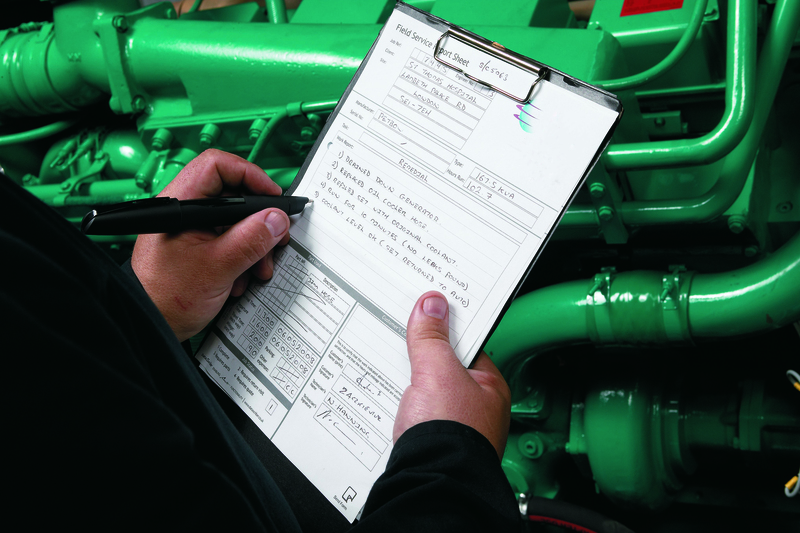 The system also incorporates digital wireless pen technology that instantly sends electronic copies of our service technician’s report sheets (in their own hand writing) to our service department within seconds of a service visit being completed enabling us to identify instantly any urgent or non-urgent remedial works. We are able to provide an emergency breakdown service and service contracts anywhere in the world. If, following routine servicing or an emergency breakdown, diagnosis concludes that an engine overhaul is required our Service Engineers are also able to rebuild a customers’ own engine. In such cases each engine is fully dismantled, cleaned and worn parts replaced with genuine parts. Other components that are free from defects are re-worked to original tolerances and the engine is re-assembled before dynanometer testing. CVS Diesel are a main service dealer and authorised to carry out warranty work on Volvo Penta and John Deere products as well as other leading brands. For pricing information or technical assistance on our marine and industrial engine service contracts or breakdowns please contact us directly on 01604 590977, sales@cvsdiesel.com or click here to complete our enquiry form.